nifty close below 6300 level but green sign +8 point , and sensex close above 21101 with increase of 21 point. reality share increase 3.5% what ever infra, metal, psu bank make 1.5% upsiade , hindalco, dlf, jp associate, jindal steel , sesa goa , tata steel , and bpcl also increase 3% to 1%. Nifty Hourly charts are forming a contracting range, Maket are likely to remain range bound in coming week and should give directional move in January. The share market is a lucrative option for lots of people to make money. The basic idea with which many investors turn to the Nifty trading is that of the high return on investment. Although, this is true, the high profit return is associated with a high risk also. 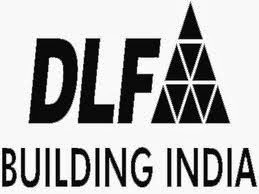 This update was help ful for all investors, in that they were playing with money....nice update..
Today DLF open at 171.65 with the gain of +1.15 (0.67%) point. please provide next target of this share price.